The United Premier Soccer League has been in existence since 2011, and currently hosts over 70 teams across the entire United States. The purpose of the league is to bring the idea of “promotion and relegation” to US senior soccer, in a country that holds firm to the idea of closed leagues, franchises, and “manufactured sporting fairness”. As a sporting entity, it stands apart from other American sports – as well as its MLS cousin – in that the performance of teams directly impacts their destination in the following season. Teams that underperform are in danger of relegation, while teams that perform well will be promoted (if they are in the lower division) or challenge for their conference title and a chance to play in the league cup, known as the Admiral Cup. In short, it is a league that tries to bring something like the league models of Europe and South America to the shores of the United States. The league is broken up into several regional conferences, with different conferences containing various numbers of teams. As the UPSL began on the West Coast, primarily – with only recent expansions into the Eastern Seaboard – those divisions tend to have the most teams. The conferences are generally named after the region they draw teams from, so there is an Arizona Conference, a Gold Coast (Florida) Conference, a Colorado Conference (with two divisions), and a Western Conference (with two divisions) and so on. The top teams from each conference will then usually play in the Conference Play-off finals, which will eventually deliver a Conference winner. The Conference winners then play in the Championship play-offs to determine the Championship winner (much like NFL, Major League Baseball, MLS and the NBA do). The difference, of course, is that UPSL teams can play in two other cup competitions (the Admiral Cup, which is the league cup, and the US Open Cup, open to all senior teams in the US). The excitement generated by the UPSL since its inception has been matched by the performances of the teams in the US Open Cup, with now-departed PSA Elite having gone to the 4th round in both 2014 and 2015 (losing to Seattle Sounders in 2014 and LA Galaxy, both of the MLS, in 2015). This has been a source of encouragement for other teams, who have also pushed through the earlier rounds of the competition. The US Open Cup is the American equivalent of the FA Cup, and the performance of USPL teams in recent years points to possible further development in the future, with teams getting a taste for success as well as experience against their more cash-rich counterparts at the highest levels. The introduction of expansion teams year-on-year helps to create the competition needed to push the USPL teams to higher standards. This expansion isn’t confined to on-field matters either. Increasingly, UPSL is partnering with some strong sponsors to help promote the league and provide services, while also giving notice that the league is a serious entity. 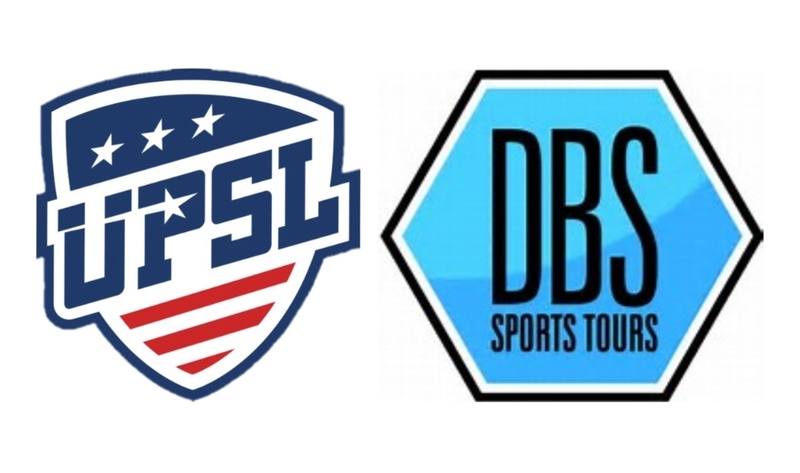 As well as the world-famous Admiral brand, and the data-checking company, DataSource, UPSL is partnering with top-level sports tours company, DB Sports Tours, in a move that will facilitate the international travel needs of the UPSL member clubs. From a promotional standpoint, these business moves are a good way to expand the name of UPSL and bring it to the forefront of more soccer fans, creating a healthy soccer scene in the US that accommodates all levels of interest. With the MLS being so spread-out across the States, the UPSL offers some exciting competition at the regional and local level for fans of the senior game. And with burgeoning sponsorships, growing divisions, and more exposure via the US Open Cup, who would bet against the UPSL becoming the model that the bigger fish in US soccer will follow, in the future?